As friends and family gather around the banquet table this fall seasons, conversations will flow around this delightful seasonal centerpiece. Asiatic lilies, mini carnations, button poms, solidago, roses and statice are placed in an weave basket, accented by a faux gourd. 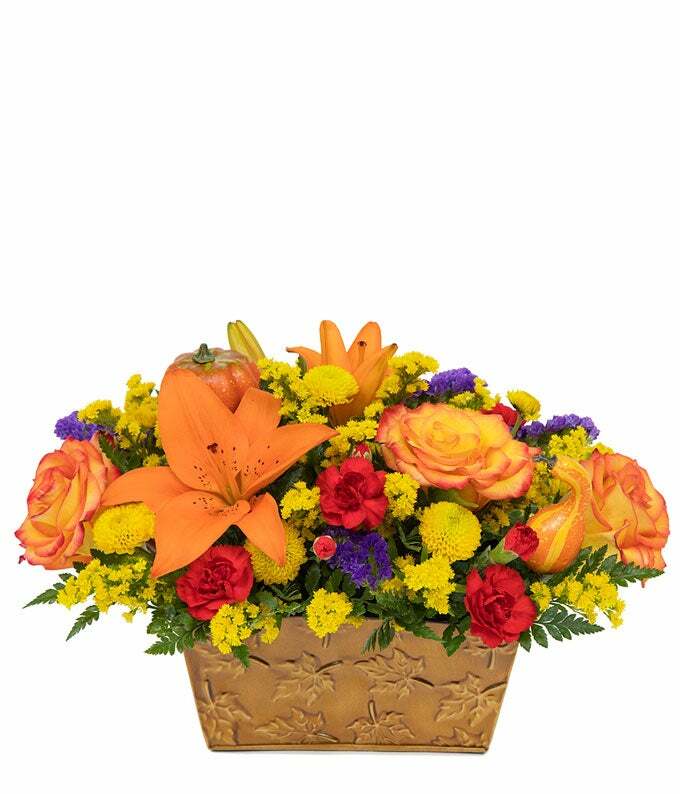 Welcome a festive atmosphere with the Autumn Breeze Flower Basket!